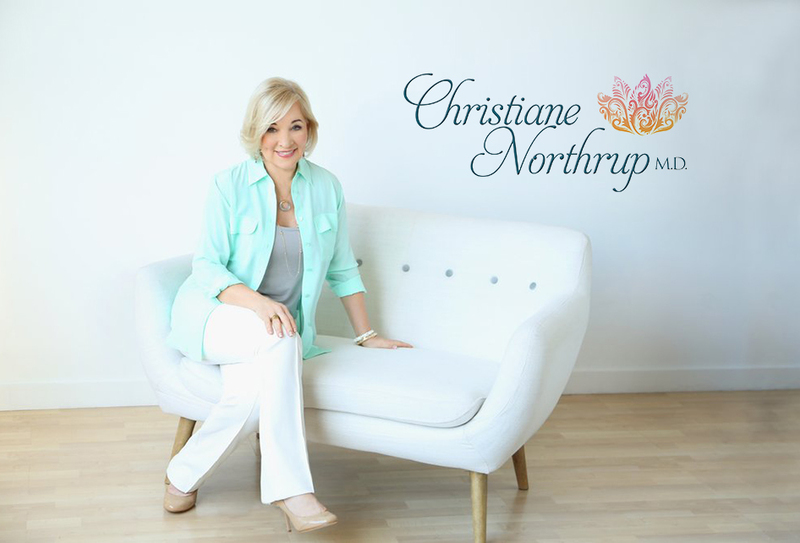 ﻿ Heart Failure in Women | Christiane Northrup, M.D. We often fall short when it comes to caring for ourselves. Stephen Sinatra, M.D., has been one of my medical heroes for many, many years. His work on coenzyme Q10 for prevention and/or treatment of heart disease has highly influenced my thinking and my behavior. (I take about 100 mg of this supplement every day!) In this informative article, Dr. Sinatra illuminates some critical matters of the female heart—and what to do to love and protect yours! Please read this and pass it on. All women need to know this stuff! – C.N. Men are from Mars, and women are from Venus, right? This old book title has been used to describe the differences between the sexes in almost every way you can imagine. You might even be tempted to say it holds true when it comes to cardiovascular disease, too—and to some extent you’d be right. Heart attack symptoms often manifest in dramatically different ways for men and women. But many other forms of heart disease, like heart failure (HF), have relatively few differences. HF is a serious, chronic condition in which the heart loses its ability to pump blood. It’s most often caused by coronary artery disease that chokes off oxygen and nutrients to the heart muscle. Even with considerable progress in conventional treatments—medication, pacemakers, and defibrillators—HF remains one of cardiology’s toughest challenges. It severely erodes quality of life, and, sadly, up to 40 percent of patients die within a year of diagnosis. Seventy percent die within a decade. Women tend to develop HF later in life. Women with the disease tend to live longer than men with the disease. The condition is under-diagnosed and under-treated in women; the tendency of women to minimize symptoms may be a contributing factor. Clinical research is another area of difference. Despite the fact that women make up nearly half of HF patients, they represent only one-quarter of patients studied by researchers. Consequently, most HF treatment protocols are developed according to how men respond to them—pretty much the same as with heart disease in general. Given this, it’s imperative that women be proactive about their heart health: learn about HF and its causes, be able to identify the symptoms, and know their treatment options. There are two main types of HF: systolic and diastolic, depending on which phase of the cardiac cycle is affected. It’s important for women to understand the differences between these types. The systolic phase refers to when the heart contracts, pushing out blood. The diastolic phase occurs when the heart relaxes and fills with blood (believe it or not, the diastolic phase requires the most energy). If you have systolic HF, your heart has difficulty contracting forcefully enough to pump out blood. The risk factors for this type of HF are similar for both men and women. They include a history of coronary artery disease (with or without high blood pressure) and a previous heart attack. These ailments cause changes to the structure of the left ventricle (LV)— the largest of the four cardiac chambers, and the one responsible for generating the pressure that opens the aortic valve. After a heart attack, scar tissue forms on the LV where blood and oxygen were cut off during the attack. Because this tissue lacks the pliability of healthy cardiac muscle fibers, it reduces the heart’s ability to expand and contract. If enough tissue is involved, the stiffened heart muscle becomes so weak that it may begin to fail. If you have diastolic HF, your left ventricle has become stiff as the result of diastolic dysfunction (DD). This is the primary cause of HF in women, making up about half of cases. DD may be related to women’s smaller blood vessels and a state of low energy in the heart. Without adequate energy stores, the heart’s muscle fibers stiffen. DD is grossly under-diagnosed, and women who are unaware they have it fail to receive early, optimal treatment. As a result, damage progresses unnoticed. During my years of clinical practice, I have identified two conditions that seem to contribute to DD: mitral valve prolapse (MVP) and high blood pressure. As women age and develop more hypertension, they also tend to develop more DD and unfortunately, more complications then men. Another kind of heart failure, broken heart syndrome (BHS) or “stress cardiomyopathy,” is an acute condition that affects women far more than men. Heartbreak is a real component in “matters of the heart,” from hypertension and arrhythmia to heart attacks and HF. BHS is abrupt-onset heart failure that is precipitated by emotional trauma—such as an unexpected death, a close brush with death, or domestic abuse or violence. Symptoms are almost identical to those of a heart attack: chest discomfort, shortness of breath, and a feeling of impending doom. However, the person’s EKG reading will be normal, as will the level of cardiac muscle enzymes in the blood and the function of the coronary arteries on angiography. The only problem is an echocardiogram pattern that shows the apex of the heart—the part that sits on the diaphragm—is ballooning outward. The underlying physiology of BHS is unclear. But if there’s anything positive to be said about it, it would be that the symptoms are so intense that lifesaving medical attention is almost always sought immediately. In my book, Heartbreak and Heart Disease (Keats, 1996), I wrote about what can happen to the vulnerable heart after the sudden, unexpected loss of a vital connection. Acute activation of catecholamines, or “stress hormones” can literally cause necrosis (death) of heart cells. Cardiomyopathy is another cause of heart failure, and a small number of women can be vulnerable at younger ages than men. Postpartum cardiomyopathy can strike women of childbearing age, although, thankfully, it rarely does. Cardiomyopathy, a form of HF with elusive causation, occurs when the heart muscle becomes increasingly enlarged as it struggles to pump blood. Postpartum cardiomyopathy can occur during the last month of pregnancy or during the first five to six months after delivery. The cause is still unclear. However, I believe that nutritional deficiencies play a key role. One of my patients, a 29-year-old woman, developed sudden heart failure following the birth of her son. Her cardiomyopathy was so severe that she was placed on the transplant list in the state of Virgina. However, after I treated her with CoQ10, she had a remarkable recovery. She is indeed my poster child of metabolic cardiology and the messenger for hundreds of cases I’ve treated over the years. Almost three decades later, she is still taking CoQ10 daily and enjoying a good quality of life. General cardiomyopathy may also be related to the poisoning of the heart muscle by toxic metals such as mercury, cadmium, and lead. Excessive alcohol intake and viruses can also be contributing factors. Jan’s mom survived a cardiac arrest over 30 years ago. One of her mom’s favorite expressions is, “Remember, it’s the squeaky wheel that gets the oil!” And she’s right. Women need to squeak louder and more often. Dr. Stephen T. Sinatra is a board-certified cardiologist and Assistant Clinical Professor of Medicine at the University of Connecticut School of Medicine in Farmington, Connecticut. Certified as a bioenergetic psychotherapist, and nutrition and anti-aging specialist, Dr. Sinatra integrates psychological, nutraceutical and electroceutical therapies in the matrix of healing. He is the founder of heartmdinstitute.com, an informational website dedicated to promoting public awareness of integrative medicine, and the author of a monthly written newsletter entitled, Heart, Health & Nutrition. Dr. Sinatra is a fellow in the American College of Cardiology and the American College of Nutrition. His latest books are The Sinatra Solution/Metabolic Cardiology and Earthing: The Most Important Health Discovery Ever. 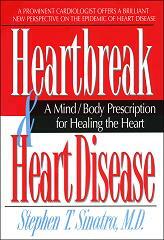 Heartbreak and Heart Disease: A Mind/Body Prescription for Healing the Heart, by Stephen Sinatra, M.D., F.A.C.C. I am 77 yrs. young and had a double by-pass in Sept. 2014. I am just recently looking into the effects prescribed drugs have on me. I have been prescribed metoprolol 50mg (1/2 in the morning and 1/2 in the evening) as well as baby aspirin in the morning and Crestor to reduce cholesterol to take in the evening. Recently I have had bruises, tingling in my fingers, low energy level, headaches,…… Side effects ? I discontinued taking the aspirin and Crestor as well as cutting the metoprolol in half. I feel better and I want to be drug free. I appreciate all the information you put out and there is a lot I still have to read and take in. My diet is health oriented with no sugar, lots of vegetables, the right meats and fruits, etc. Thank you again for being so helpful. I will read your books also.